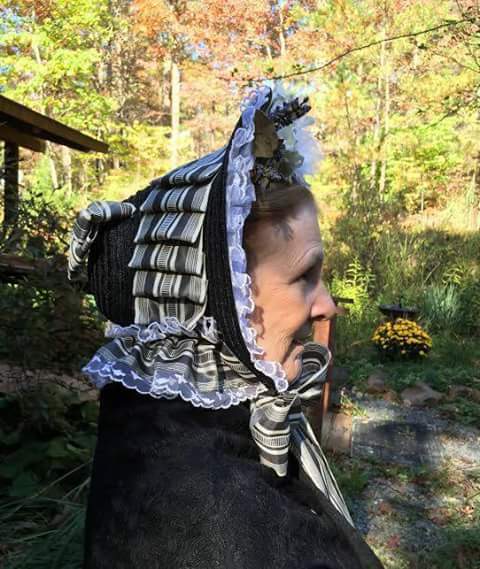 Thank you to each of the ladies who took the time to enter my “Show Your Millinery” Give-Away. I suspect I made this give-away a little too complicated because I only had a few entries. 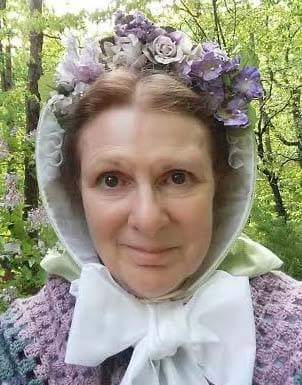 But, I have to say, each of the entrants are look absolutely lovely in their millinery. Now, what you have all been waiting for….. 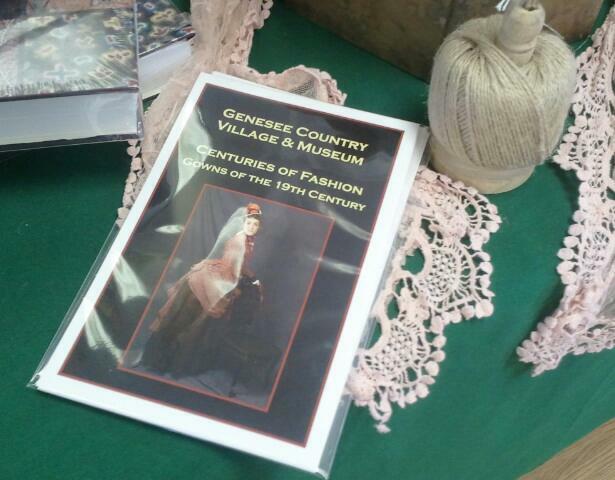 The winner of the “Show Your Millinery” Give-Away and the recipient of the Genesee Country Village & Museum‘s first Centuries of Fashion Cards is…..
Darline also has one of my favorite drawn bonnets, this green and white mini-check. Here is the side view. 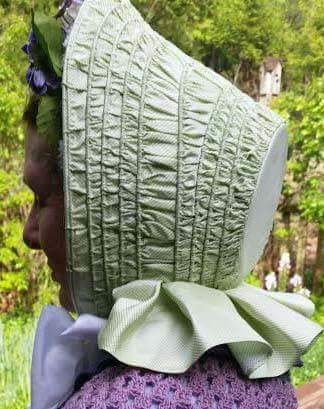 Darline also has one of my favorite drawn bonnets, this green and white mini-check. Aren’t the colors perfect for her? 😦 I actually didn’t get any “Inspire Me!” entries.